We’ve all experience days when we just couldn’t catch a break, but nothing comes close to the emotional roller coaster gut punch of realizing you could have been a millionaire if you just did things differently. Luckily, most people will never know how that would feel. Buddies Erick Onyago and Salvatore Cambria came really close to being millionaires in March 2013. 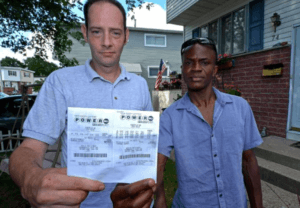 At the time, Erick decided to give his buddy Salvatore one of the three US Powerball tickets that he had just purchased. Erick’s tickets were duds – but Salvatore’s matched six of the seven numbers! But, as fate would have it, lady luck was simply not on their side. You see, when Salvatore checked the winning numbers, he didn’t notice that he was looking at the previous draw results. To his dismay, he immediately threw the ticket in the trash. It was only until later that day that he had realized his mistake. Along with Erick, they did all they could to track the lost ticket – from tracing garbage truck routes to hiring for help. Alas, they never found the ticket that nearly made them millionaires. 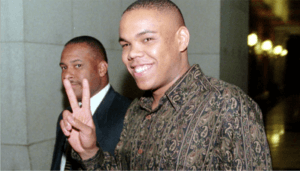 Clarence Jackson, a Connecticut resident, did as he always does every week on October 13, 1995: buy lottery tickets. However, as both of his parents were sick at the time, Clarence prioritized taking care of them and put other things on the backburner – including checking the lottery results. A year later, his sister, Sheila, chanced upon a newscast that talked about how the $5.8 million jackpot was still unclaimed and how the deadline was at midnight that same day. Sheila then decided to check some of the old lottery tickets that they had lying around, just in case. Lo and behold, they did have the winning ticket! They only had one problem though: Sheila found the ticket at around 11:15pm, which meant they only had 45 minutes to come forward and validate the ticket. The solution was simple: Clarence only had to go to any store to be able to validate his ticket. Unfortunately, Clarence had no idea it was that simple. He thought that he had to go to the Lottery Office in the morning, but because the lottery was closed the next day (it was Columbus Day), he decided to go the day after. He did, but he was too late. Desperate to get his winnings, Clarence took legal action against the lottery operator – with the legal battle going on for well over 19 years. Clarence’s plight became so big and popular it even led to the House of Representatives voting, twice, to award Clarence his winnings. Unfortunately, the Senate stepped in and rejected the bill. Denise Rossi surprised her then-husband Thomas Rossi when, after 25 years of marriage, she filed for divorce on January 1997. It came as a shock because, according to Thomas, they never had any significant problems before. In fact, they were so close that they even shared an electric toothbrush! It turned out that money was the main motivator for Denise’s decision. On December 28, 1996, eleven days before she filed for divorce, she had won a $1.3 million lottery jackpot. However, Denise never disclosed any of this during the divorce proceedings. After all, according to her, she had actually been miserable during her entire marriage with Thomas, so she didn’t want to share a single cent with him. In her mind, he had no right. Unfortunately for her, the law doesn’t agree with her. On May 1999, Thomas found out about his wife’s deception when he mistakenly received mail solicitation that was intended for his ex-wife – it was from a company that pays lump sums of lottery winnings. Thomas filed a court injunction days later. Unsurprisingly, Denise was found guilty of withholding such information during the divorce – which prompted the judge to award the $1.3 million to Thomas. The ruling required Denise to pay her ex-husband $66,800 each year, for the next 20 years. Human Error or Faulty Technology? 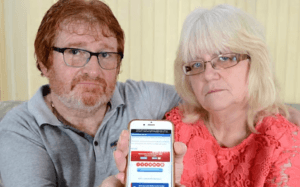 When Edwina and David Nylan saw all six of their numbers come up during the December 23 drawing of the UK National Lottery, they were beyond ecstatic. The £35 million jackpot could have been the best Christmas gift for their family.…had they successfully purchased their tickets. You see, when they were about to claim their winnings, Camelot, the operator of National Lottery, told the couple that they had no record of their transaction. As it turns out, when the couple tried to purchase the lottery ticket via the lottery app on her phone, it never went through. Edwina recalled that when she first tried purchasing the ticket, they had insufficient funds on their account. After topping up the account, she claimed that the purchase finally went through. Camelot confirmed that the couple did indeed try to purchase the tickets several times, but a successful transaction never pushed through. Was it simply human error or faulty technology that cause them to lose the chance of a lifetime? 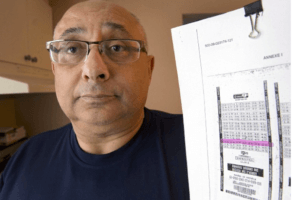 In 2008, Canadian Joel Ifergan claimed that when he bought two tickets a minute before the draw cutoff for the May 23 jackpot, the second ticket was printed with the draw date for the following week because of the 7 second delay in printing. It wouldn’t have been a big deal if it hadn’t been for the fact that the second ticket had contained the winning numbers for the current draw. As a result, another winner claimed the $27 million jackpot for the May 23 draw. Ifergan blamed Loto-Quebec for his loss and took them to court. The 7-year long legal battle that ensued cost him $100,000. A bit of a disclaimer: this next one doesn’t involve millions of dollars at stake, but it does still involve lotto winners almost winning big. Besides, this was a story too good to pass up! On March 23, 2016, the winning numbers drawn for the National Lottery were mostly multiples of seven – which was a pretty rare occurrence. However, due to the popularity of the numbers, 4,082 players ended up with 5 matching numbers. In short, they all won the second-tier prize! Lucky, right? Typically, the top 2 prize categories in lottery games are divided equally among winners, so the £61,230 prize had to be distributed among 4,000+ people. If you do the math, that’s around £15 for each winner! To make matters worse, those who matched 3 or 4 numbers won more money than those who matched 5; Match 3 winners won £15 each, while £51 for Match 4 winners. It’s hilarious if you think about it, but I sure would be incredibly frustrated if I were among those Match 5 winners! At least they won something, unlike the winners above. So, the next time you curse under your breath for winning what amounts to chump change at the lottery, remember that other players have experienced much worse.